Quality Furniture from our Family to Yours! There is nothing quite like walking into a furniture store, ready to purchase a sofa that will become a part of your family’s daily routine. 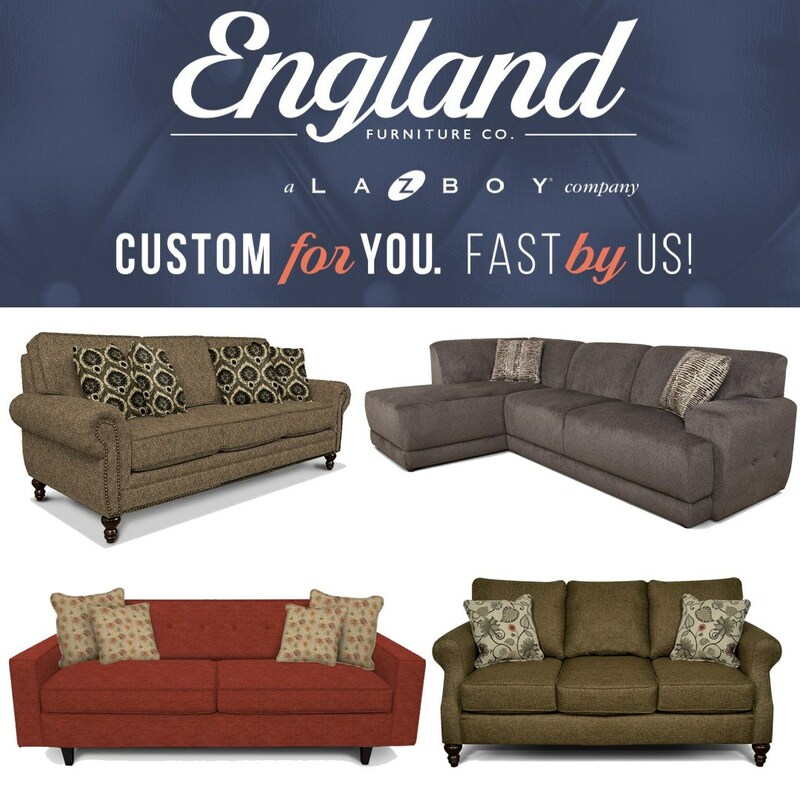 With England’s commitment to high quality standards and American made products, choosing a living room set that meets your expectations is only a cushion away. While some manufacturers attempt to reduce prices by sacrificing protection against daily ware’s and tears and using low-grade foam, wood and fabric, England maintains an honest and competitive “Us versus Them” mentality. Believing there is more to furniture then an attractive exterior, England takes just as much consideration in choosing the foam padding and high-quality wood frames that sit inside its products as it does examining styles and scrutinizing over fabrics. With a wide assortment of styles and fabrics, homeowners can rest assured, knowing that England will meet their need for quality as well as their desire for a beautiful home. England specializes in stationary and reclining living room products including sofas, loveseats, sectional sofas, chairs and ottoman. 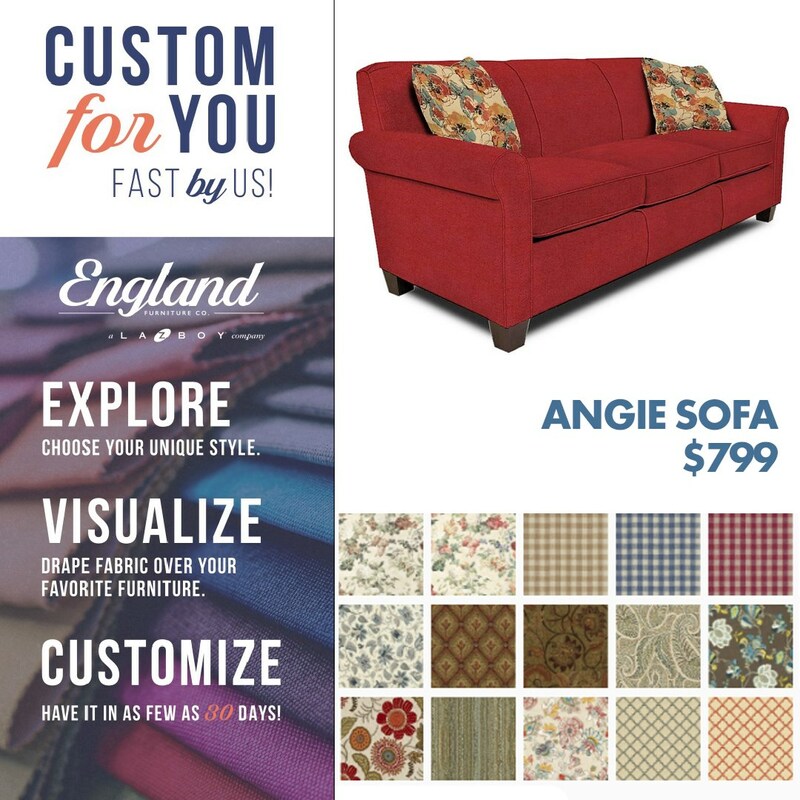 England Furniture "Us vs. Them"